I was afraid that time would not be kind to this movie.... and special effects wise it really hasn't. What I always do when I watch a film from long ago, is I try place myself mentally in that time period and then the special effects don't bother me, looking outdated. DADDY DAY CARE is the hilarious comedy about kids ruling the roost! When ad execs Charlie (Eddie Murphy-Dr. Dolittle, Shrek) and Phil (TV's "Curb Your Enthusiasm"'s Jeff Garlin) lose their jobs trying to sell a veggie-flavored breakfast cereal, their wives head off to work. But when they realize they can't afford to keep their kids at the fancy Chapman Academy run by evil Miss Harridan (The Addams Family's Anjelica Huston), Charlie and Phil become the proprietors of Daddy Day Care. Little do these two Mr. Moms realize that they have just begun their own adventures in babysitting! DADDY DAY CARE's excellent supporting cast includes Steve Zahn (National Security), Regina King (Legally Blonde 2: Red, White and Blonde) and Kevin Nealon (Anger Management). This is just a fun movie to watch. I literally laughed out loud on more then one occasion. I liked the entire cast... especially enjoyed Anjelica Huston as the evil head of the competition day care center. She played the role perfectly. A friend gave me this movie 3 years ago... and I remembered enjoying it at the time... but I forgot just how much I did enjoy it.I will have to keep this movie in mind and not let it go so long between viewings. It isn't perfect of course... there is some pretty silly stuff here... but it is just fun to watch. Wow... I just found out that the letter E will be giving me some trouble. Most the movies I have that starts with E is horror. Though I do have a couple choices... hopefully I will be more in the mood for one of them tomorrow. 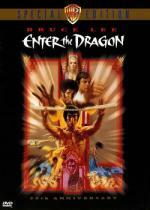 Enter the Dragon isn't an horror film and I'm interested by it (but never think of ordering it). So if it isn't too late and you are in the mood for it, I would like to read your opinion about this film. I already started and gotten into a different movie for E... sorry Jimmy. But I will put it on my list to watch again shortly after the Alphabet marathon. Damn You Jimmy... now you got me thinking about how long it has been since I watched Enter the Dragon.... looks like I am changing my "E" movie half way through! Spooky. It's ages since I've seen Enter The Dragon and I was considering it too. Go for it Jon... I am sure Jimmy would like a second opinion. Twenty-five years following his untimely death, Bruce Lee remains the movies' supreme martial-arts star. And Enter the Dragon, fully restored, in stereo for the first time and containing 3 minutes not included in the original U.S. theatrical release, stands the test of time as the most popular martial-arts epic in film history. This 25th anniversary edition also includes Bruce Lee: In His Own Words, sharing film, video and audio material from the Lee family archives with fans for the first time ever! It is a good watch... but now this DVD is going back on my shelf for a few years as it is a movie I can only watch so often. This is not my usual type of movie. But it is one I like to watch ever once in a while. This is the first time I watched this one since I first bought it 5 years ago. It is the only title I have with Bruce Lee. But it is one I enjoy. I like the story and the martial arts is fun to watch. This DVD starts off with an introduction from Bruce Lee's wife talking some about her husband and the making of this movie. Also letting us know that some footage was added back into this cut of the movie giving us a version of the movie that Bruce Lee preferred. This is another movie I haven't watched in years! And it is one that I only watched once when I first bought it back in 2000. Not because it is a bad movie... I enjoyed it quite a bit. I just sometimes have a problem going back to movies that are 2hrs long or more. So it takes me years like this. While this is a good and entertaining movie... it is also one you need to give your full attention to. Or you could get a little confused. 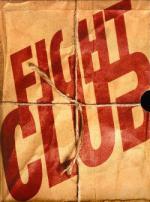 This is one of the few movies that I actually like Brad Pitt in. I always felt him to be an over rated actor... but he is perfect in this role. This is a cute family movie. It isn't as funny as I would have expected it to be... but it does have a few laughs in it. I do think Bill Murray was a good choice for the voice of Garfield. I have been a fan of Jennifer Love Hewitt every since the pilot of Ghost Whisperer aired. I think she is a gorgeous young lady... but I have to say... she looks so much better with the long hair. The should length hair that she has in this movie just does not look right to me. This is the second time for me to watch this movie. The first time I watched it... while I liked it... I wasn't completely thrilled with it. But that is because it just wasn't the movie I was expecting from the trailer. So I went into it today hoping I would like it more this time around. And I did enjoy more then I did the last time. I will say that it went downhill a little towards the end of the movie. But for the most part I really enjoyed it. I thought both Will Smith and Charlize Theron were good in it... but I have to admit I wasn't that impressed with Jason Bateman. I never thought I'd bother with Hancock...but I do love Charlize Theron...so now I have a decision to make! Maybe I can get a cheap combo deal with it and Aeon Flux?